(Aristo separate Washer / Dryer behind concealed cabinet door in Master Stateroom Lobby). Third station controls are port side in a concealed fiberglass compartment. 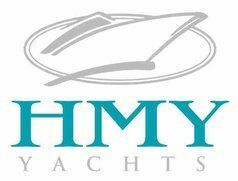 Other Boats from HMY Yacht Sales, Inc.
View all Boats from HMY Yacht Sales, Inc.